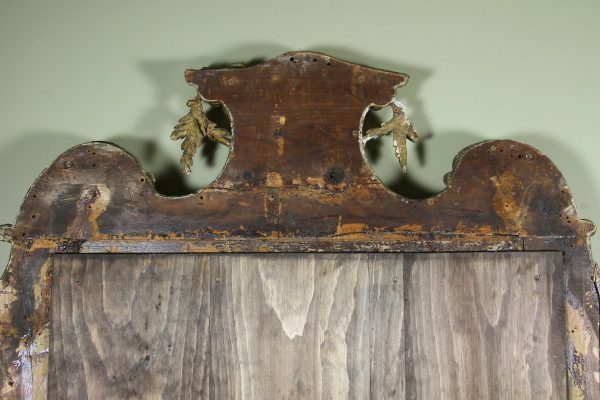 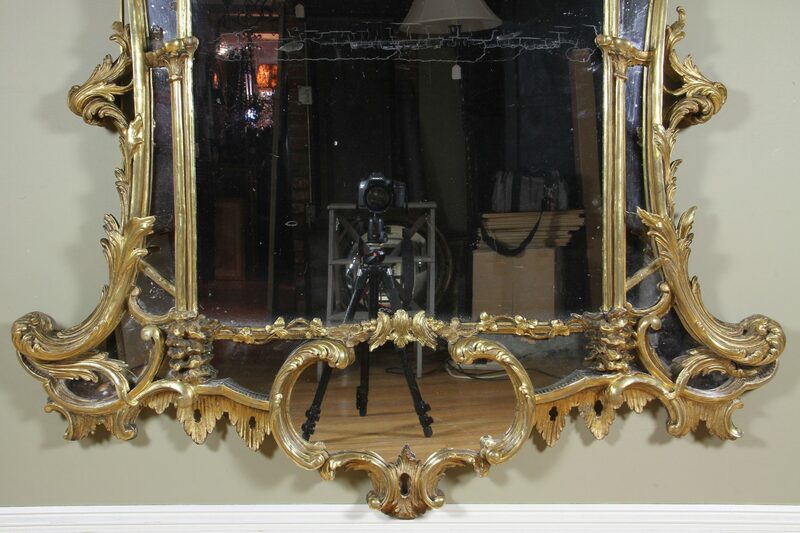 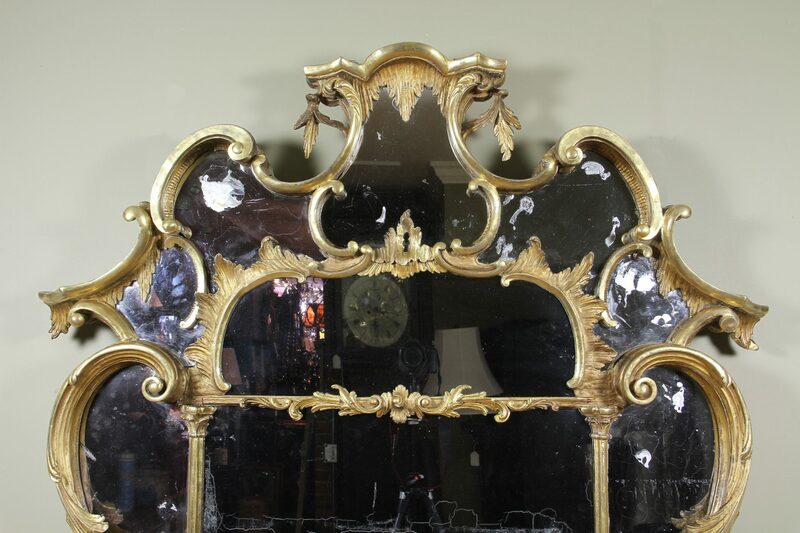 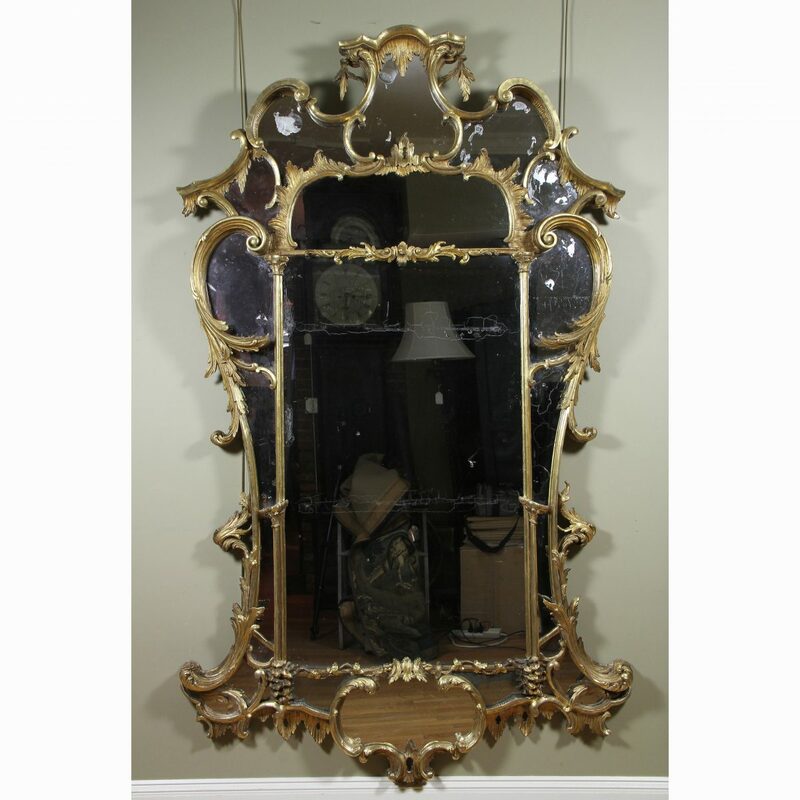 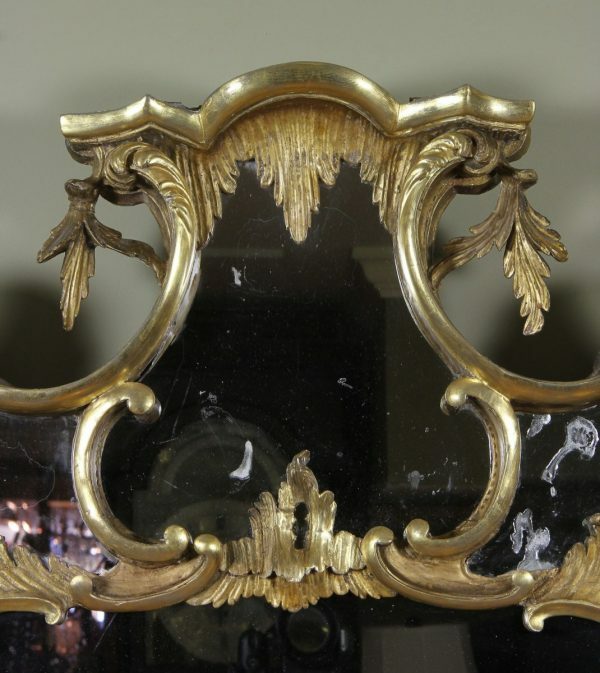 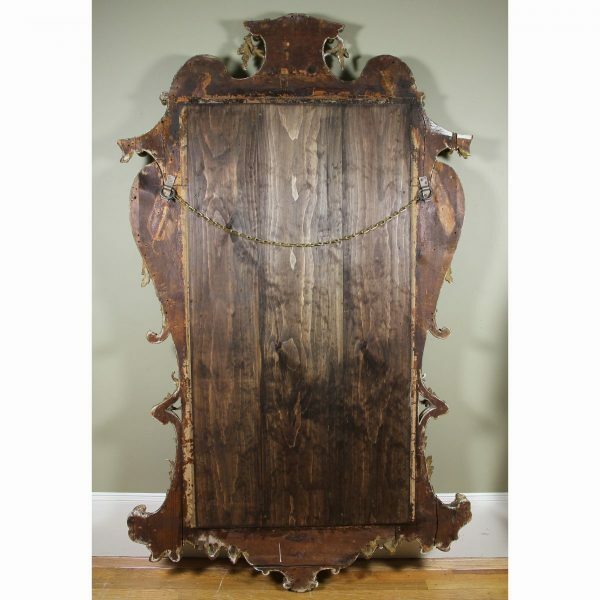 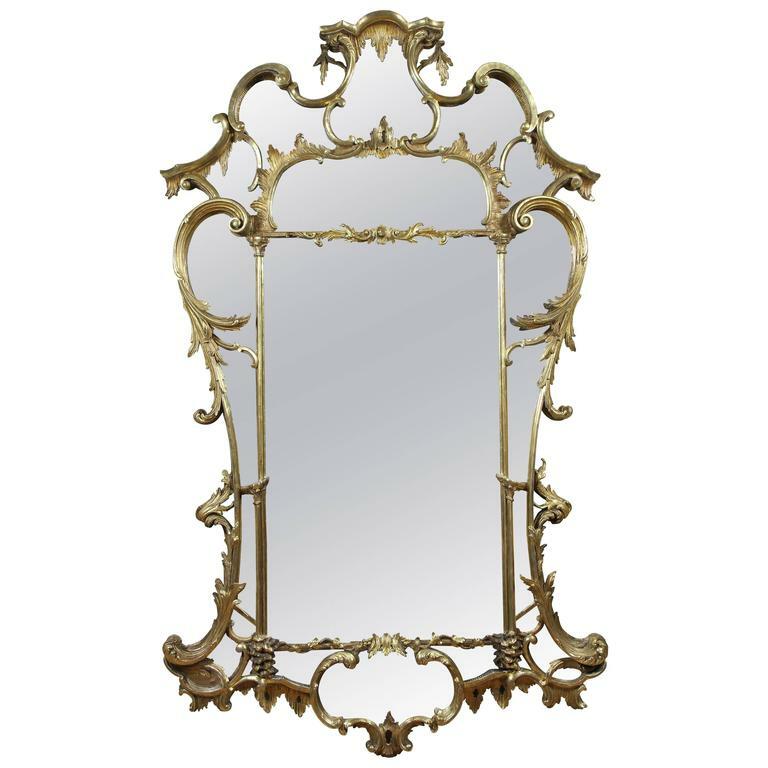 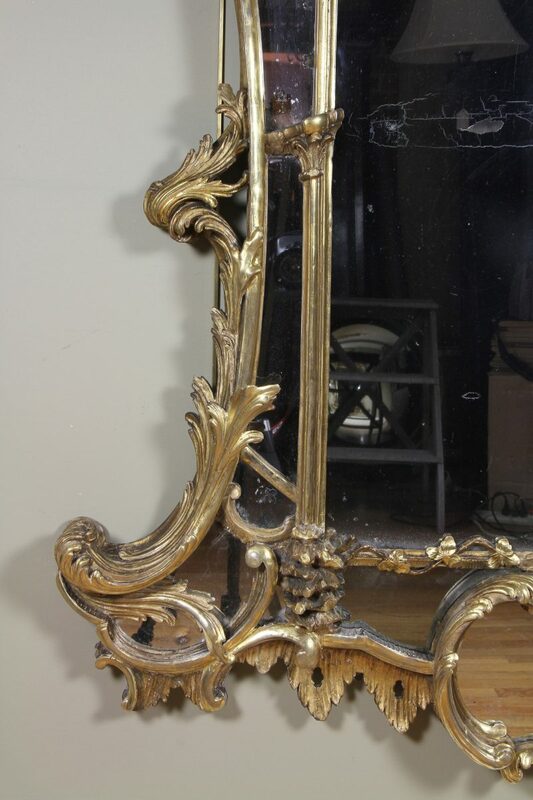 Mirror plate set within a scroll carved inner and outer frame decorated with C-scrolls, rocaille and cabochons. 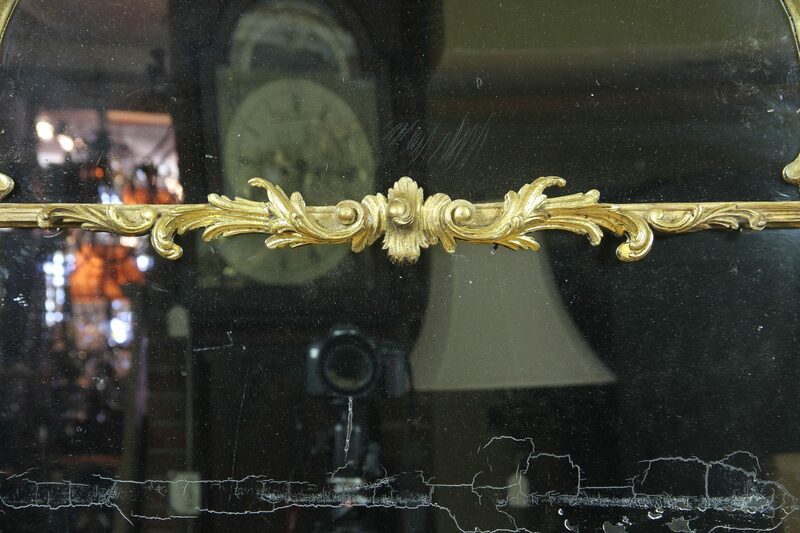 Original glass. 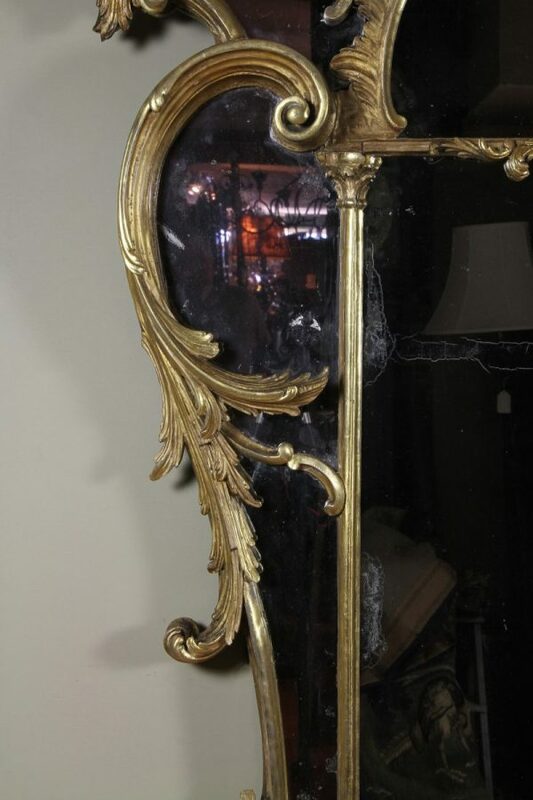 Provenance: Park Avenue, New York apartment. In good condition. 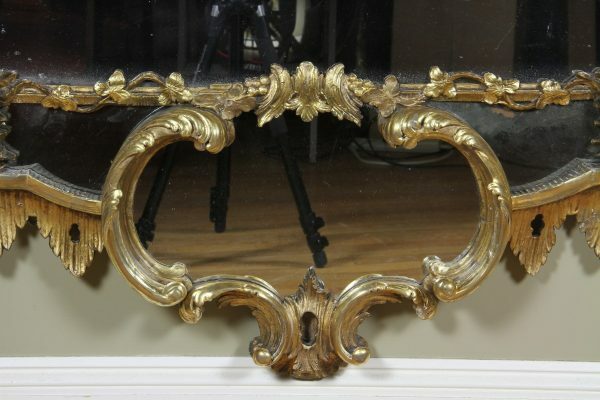 Oxidation to mirror plate , all gilding nicely restored .